Another example of biotensegrity is tree roots. Tree roots form a structural network that holds tension within the earth. 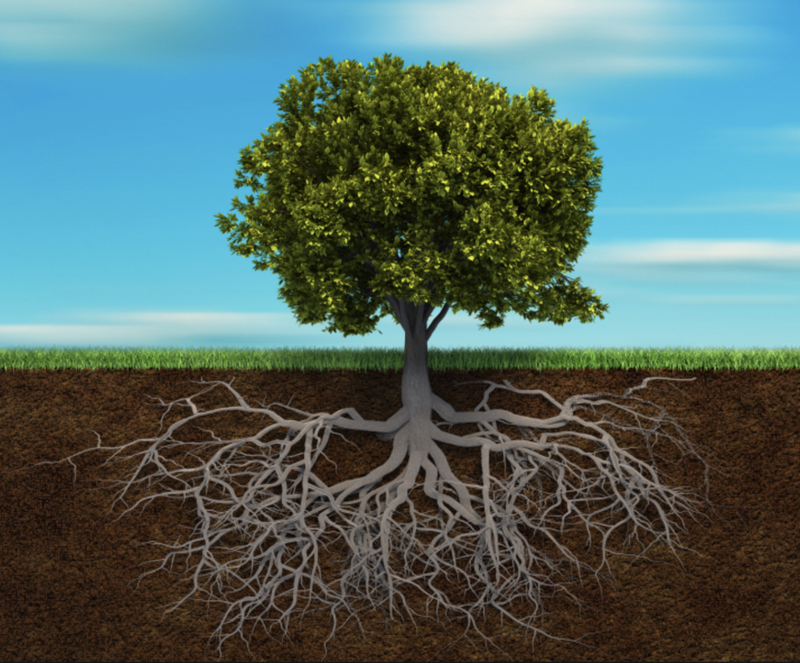 This underground tension is what gives trees the stability that enables them to grow tall, heavy, and sturdy. The more deeply rooted and widespread a tree’s underground tensegrity network is, the stronger the tree will be. A tree net is a tensegrity structure woven within a tree or a number of trees out of high tech ropes and cords. The trees are what give a tree net the “bio” component in biotensegrity. After all, a biotensegrity structure is simply a tensegrity structure that pertains to a biological organism, either a tree, an animal, or a plant. A tree net is connected to and reinforcing the inherent biotensegrity of an organism; therefore, a tree net is a biotensegrity structure.